It’s been a busy fall semester for the Moonlight Prowl. Eight tours were held in September, including a group of 130 students and parents who gathered for a Prowl during UT’s Family Weekend. Several more are set for October. The next “all-comers” Prowl – open to anyone interested – is scheduled for this Friday, October 14th, the night before the Texas vs. Iowa State football game. 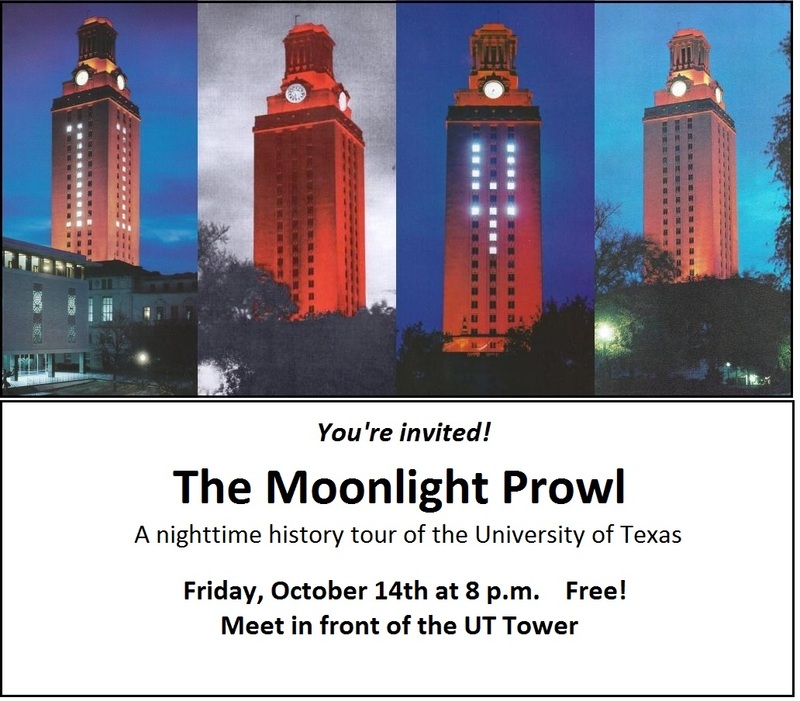 We’ll gather on the Main Mall in front of the Tower at 8 p.m.
For all the particulars, see the Moonlight Prowl information page. RSVPs are appreciated, but not required. You can send me a quick note here, or RSVP via a Facebook event. The weather forecast is for partly cloudy skies, and it’ll only be two days before the full moon. A great night to wander the campus and discuss some UT history! 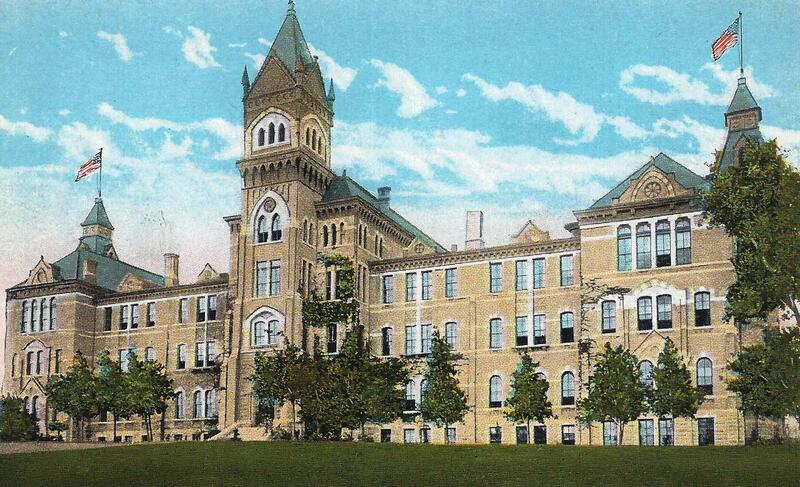 Above: The University’s old Main Building, where the Tower stands today.